«Terumo Europe Cardiovascular Systems» is one of the directions of concern «Terumo Corporation» Japan, including a wide group of innovative products and technologies of treatment of cardiovascular diseases. Key production and research platforms are concentrated in Japan and the United States. Closed production cycle, continuous innovation are key to the highest quality and uncompromising safety for patients. 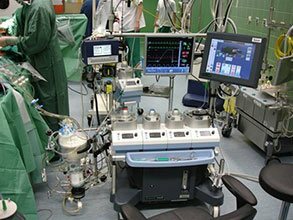 Technical service and support of Terumo cardiovascular equipment 24/7 is provided by experts certified by the company manufacturer.